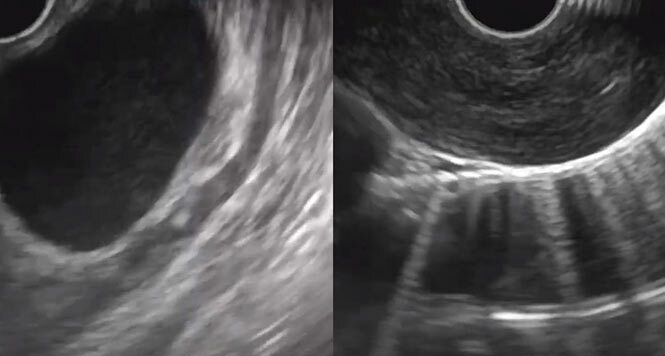 This video demonstrates the case of a 42-year old male referred for EUS-guided drainage of a pancreatic fluid collection. 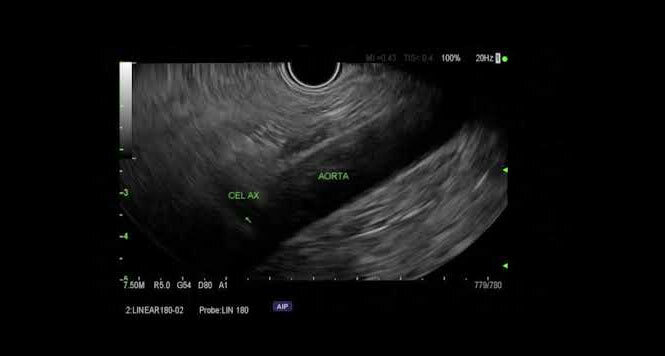 This video demonstrates the features of an acute necrotic collection in the case of a 65-year old male with abdominal pain and fever. 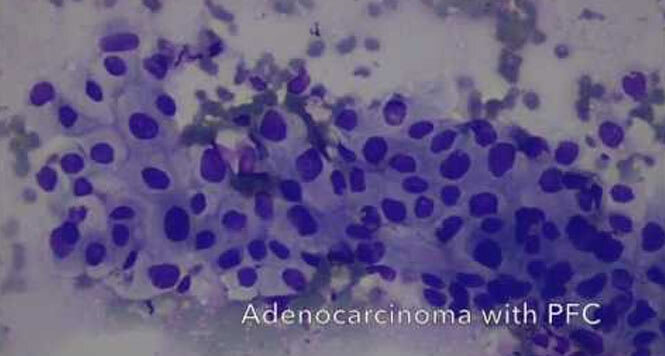 This video demonstrates the differences between duplications cysts and spindle cell tumors. 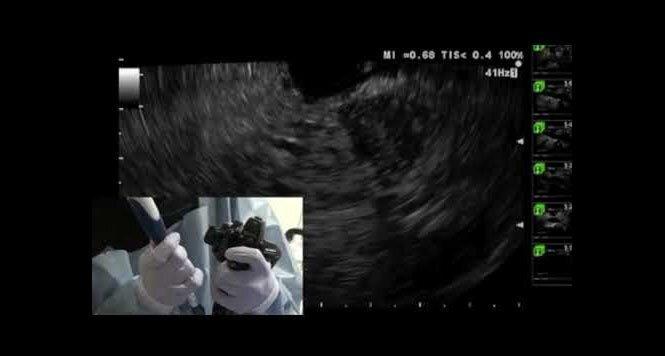 This video demonstrates the EUS-FNA of a pancreatic uncinate mass using the Fanning Technique. 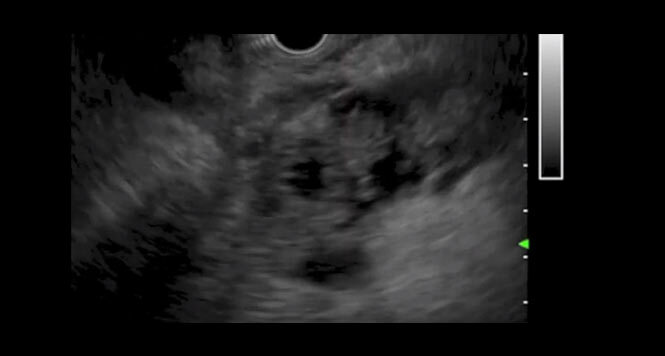 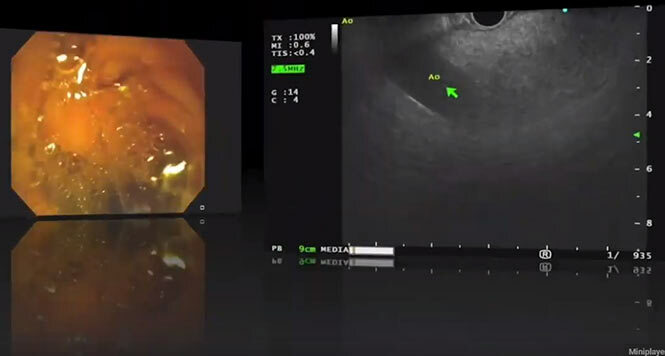 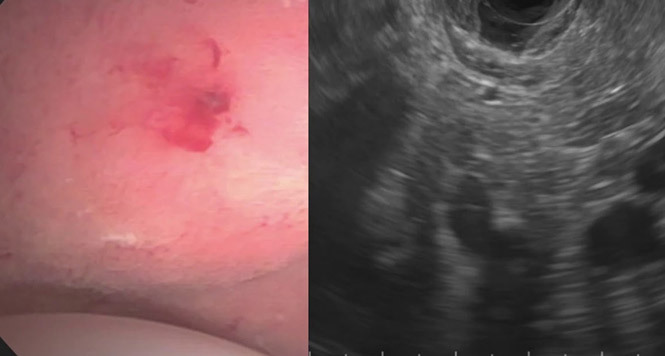 This video demonstrates the technique of EUS-guided Celiac Plexus Neurolysis in a patient with unresectable pancreatic adenocarcinoma. 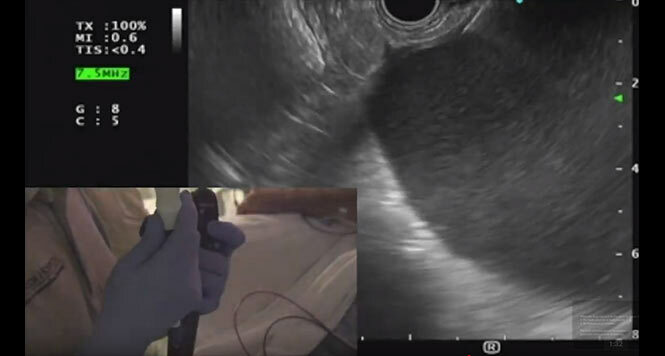 This video demonstrates the single-gate technique of drainage of a pancreatic fluid collection using a lumen-apposing metal stent.